Who doesn’t love the rich colours of autumn? The ambers, reds, and golden hues that paint the season with warmth and vibrancy, set against the melancholy indigos and silvers of the skyline. 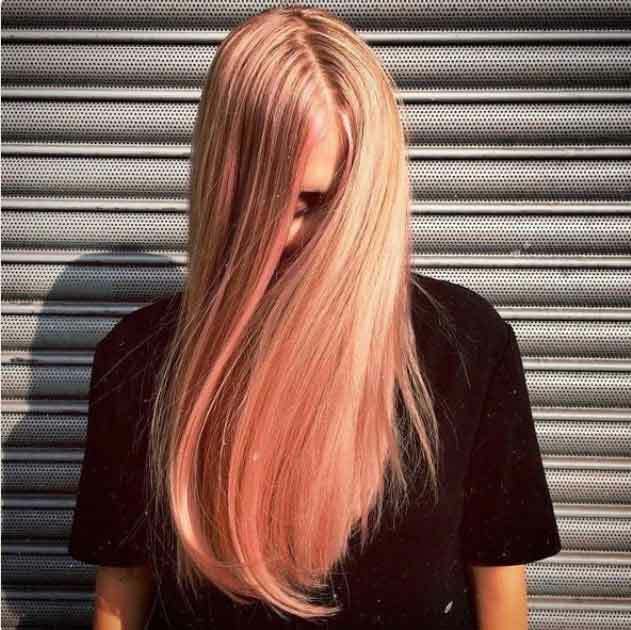 Celebrate the most profound time of year and get your look in step with the season by revitalising your locks with autumn’s gorgeous hair colour trends. Evolving from 2016’s love affair with orange tones, blorange is a soft blend of honey blonde hues with strawberry tones and ginger. It creates a look that’s softly enchanting, with a splash of romance, making it a perfect colour to go for if your style incorporates a lot of pretty fabrics, like lace and silk, along with a great pair of riding boots. If you have a peachy complexion, blorange may be your perfect colour this fall. 2016 saw a lot of fun with bold greys and silvers. This colour is great for brunettes with pink undertones and a cooler complexion. It’s ideal if you want to keep your colour natural-looking this season, yet still do something edgy with your look. Ash Brown gives off a Victorian-chic vibe, with notes of blue and grey in the base. If you have long locks, you can rock the two-tone reverse ombre two-tone reverse ombre look. Choose a darker colour for the roots and an ever-so-slightly lighter shade for the ends. This colour trend is supposed to look like the two shades fade into one another, creating a natural appearance, while still adding dynamic colour. 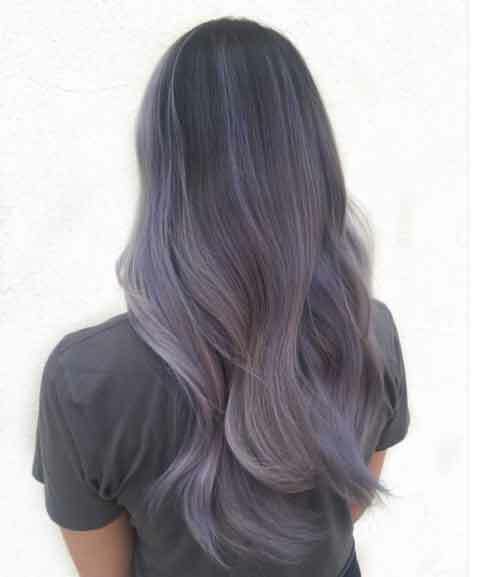 Thanks to the grey ombres and blue mermaid hair colour of 2016, an absolutely gorgeous look has emerged for 2017 – smoky lilac! This colour, by stylist Kendall Noel, is fantastic for naturally raven locks. Soft purples are toned down to a foggy lavender finish. It’s mesmerising and mysterious and a great colour if you want to go outside of traditional colouring but still be on-trend. The biggest colour trend of 2017? Bronde! There’s something about this masterful blend of blonde and brown that we just can’t seem to get enough of. It creates a sun-washed brunette finish that looks gorgeous on any cut. It can be used for both cool and warm complexions, just pick the right blonde and brown hues to match your skin tone. Bronde is also popular because it’s a low-maintenance colour. Professional colourist Allison Rappel, recommends a salon visit every three to five months if you go bronde. Be sure to use organic colour safe shampoo and conditioner to help keep your hair healthy while locking in that brilliant colour. There are so many exciting colours for autumn. Don’t forget to treat your hair with organic and eco-friendly products to keep your locks in excellent condition and to avoid damaging your roots with chemical colour products. Have fun creating your new look and embracing the beautiful colours of autumn!